The D070 is a straight forward, panel mount level indicator. 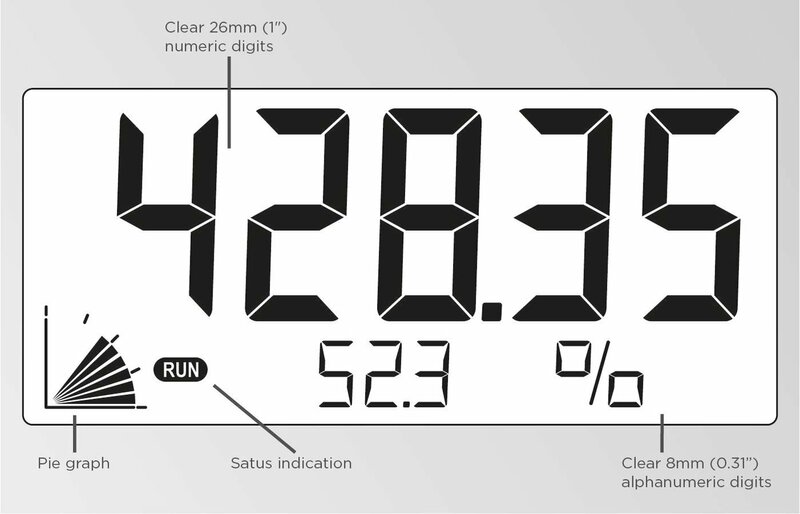 The measuring unit to be displayed is simply selected through an alfa-numerical configuration menu. No adhesive labels have to be put on the outside of the enclosure: a weather proof and user friendly solution! The configuration of the Span, off-set and number of decimals is done through software functions, without any sensitive dip-switches or trimmers. 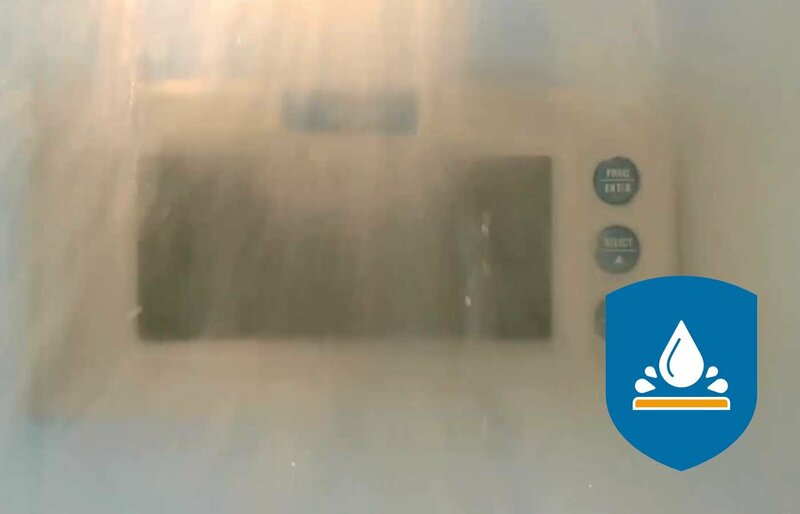 Unique, robust IP66, IP67 (NEMA Type4X) panel mount front enclosure made of die cast aluminum, allowing even big jets of water and total immersion. Displays level and height or percentage filled. Very large 26mm (1") digits. Number of digits for level: 5½. Selectable on-screen engineering units; volumetric or mass. Auto backup of all settings. Ambient temperature: -40°C to +80°C (-40°F to 176°F). Aluminum DIN front panel of 144 x 72mm (5.67” x 2.83”) according DIN 43700 / IEC 61554. Various accessories are available for this product. 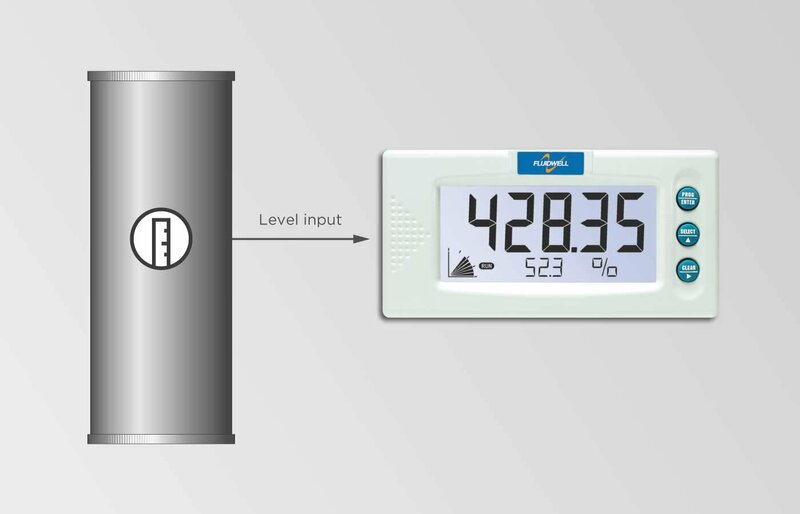 The D070 fits in applications where a basic level measurement display is required without level monitoring and linearization. 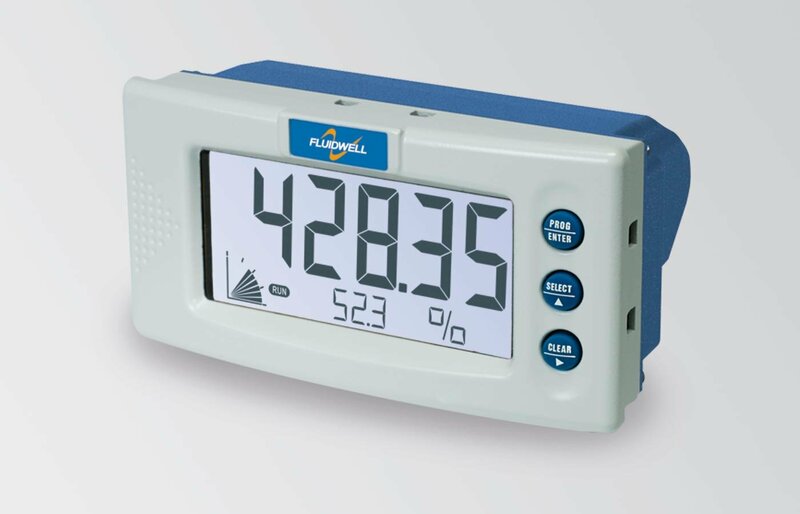 The D-Series is a DIN-sized display and the better alternative for your existing, not waterproof, front panel mount indicators in extreme weather outdoor applications or e.g. 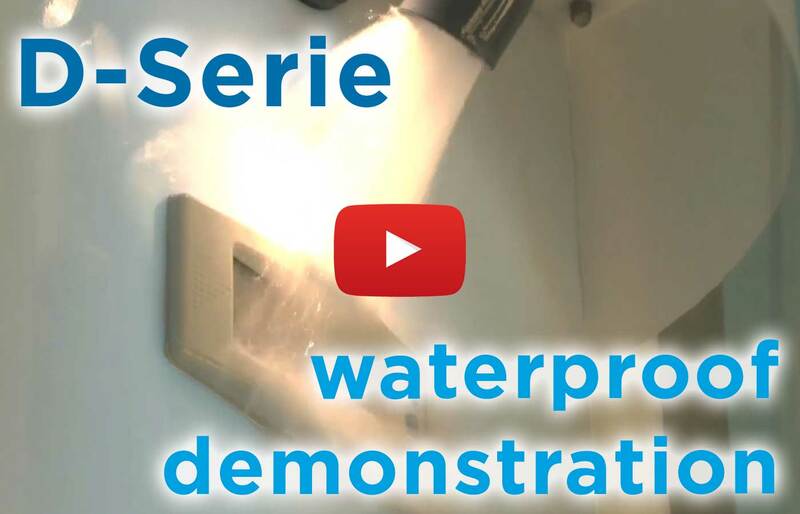 in food industries where working environments are often cleaned with powerful water jets. Basic: 8 - 30V DC (no real sensor supply). 4 – 20mA input Loop-powered. 24V AC/DC + sensor supply. 115 – 230V AC + sensor supply. 8.2, 12 & 24V DC.